Dutch chemical technology and renewable chemistry firm Avantium has closed a financing round of EUR20 million. The investments are made by PMV, an independent investment company for Flanders, FPIM, a Belgian Federal Holding and Investment Company, and Avantium’s existing shareholders. The funds will be used to commercialise the YXY technology for producing 100% biobased packaging material PEF (polyethylenefuranoate), a next generation plastic with superior performance. Avantium’s roll-out plan includes the construction of a ‘reference plant’, the world’s first commercial plant to produce FDCA (furandicarboxylic acid). 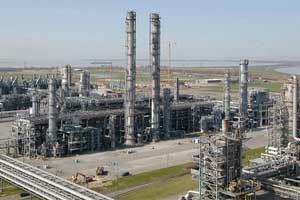 This reference plant with a capacity of up to 50,000 tonnes/year is intended to be located in Antwerp, Belgium. On March 15 this year, Avantium and German chemicals firm BASF announced signed a letter of intent to establish a joint venture for the production and marketing of the renewable chemical building block FDCA, as well as marketing of PEF. The joint venture intends to use the YXY process technology developed by Avantium to solidify its world-leading positions in FDCA and PEF, and subsequently license the YXY technology for industrial scale applications. The companies plan to jointly invest in the new plant, subject to the successful conclusion of the exclusive joint venture negotiations. PMV’s portfolio places particular emphasis on sustainable energy, biotech, cleantech, life sciences and infrastructure for the future, which makes Avantium a good fit. In 2015, Avantium made the Global Cleantech List, a list of the top 100 private clean technology companies for the sixth year in a row.